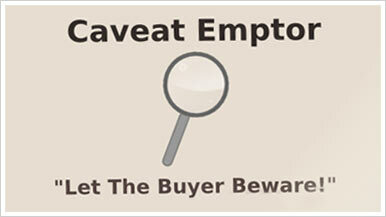 Caveat emptor is a Latin term that means "let the buyer beware." Similar to the phrase "sold as is,"
this term means that the buyer assumes the risk that a product may fail to meet expectations or have defects. In other words, the principle of caveat emptor serves as a warning that buyers have no recourse with the seller if the product does not meet their expectations. 2. When goods are sold under brand name [section 16(1)] – In case the goods are purchased under its patent name or brand name, there is no implied condition that the goods shall be fit for any particular purpose. 3. When goods are sold under description [section 15] – Where the goods are sold by description there is an implied condition that the goods shall correspond with the description. 4. Merchantable quality of goods [Section 16 (2)] – Where the goods are brought by description from a seller who deals in goods of that description there is an implied condition that the goods shall be of merchantable quality. The rule of caveat emptor shall not apply. But where the buyer has examined the goods this rule will apply if the defects were such which ought to have not been revealed by ordinary examination. 5. When the goods are brought by sample [section 17] - Where the goods are brought by sample, the caveat emptor rule will not apply if the bulk does not correspond with the sample. 6. When the goods are brought by sample as well as description [section 15] – In case the goods do not correspond with both the sample and description or either of the condition, rule of caveat emptor will not apply. 7. 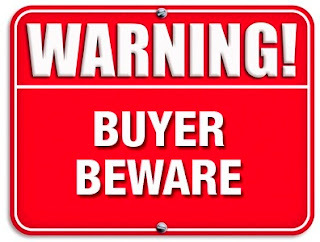 Implied warranty or condition as to fitness or quality – An implied warranty or condition as to fitness or quality for a particular purpose may be annexed by the usage of trade and if the seller deviates from that, the rule of caveat emptor will not apply. 8. Fraud or misrepresentation – When the seller sells the goods by making some misrepresentation or fraud and the buyer relies on it or when the seller actively conceals some defects in the goods so that the same could not be discovered by the buyer on a reasonable examination, the rule of caveat emptor will not apply. Priest Vs Laste - In this case, B purchases a bottle from A. At the time of purchasing the bottle the buyer says that it should be qualified for storage of hot water. Thus here purpose is mentioned but the seller sells such a bottle which is not qualified for storage of hot water. As a consequence buyer’s wife gets injured. Court decides that buyer can claim compensation. Ward Vs Hobbs - In this case a contract of sale gets formed between A and B according to the terms of which A has to sell an animal from his farm to B. Negligently B selects an animal which has been suffering from some sickness. That sickness is characterized by propagation from one animal to the other and the ultimate effect is death of the animal. The sickness of the animal was externally visible. B, negligently selects such animal and as a result all animals present in B`s farm comes across death. B sues A. Court decides that B is negligent, he cannot blame the seller for his own negligence and therefore B cannot claim any compensation.